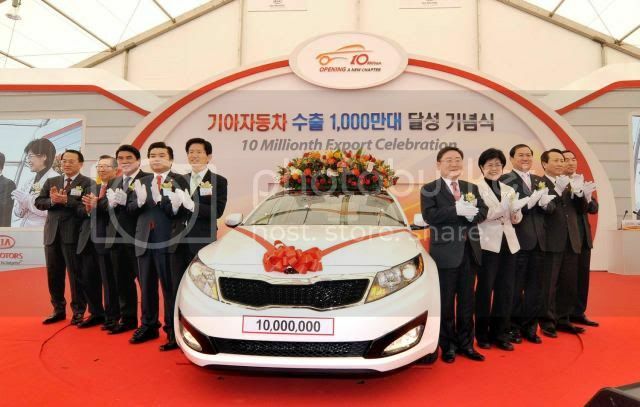 Kia has reached a 10 million global export landmark with a Snow White Pearl Optima sedan, that was shipped to the U.S from the Pyeongtaek Port, located 50 miles southwest of Seoul, South Korea. "The last year was an exceptionally positive one for Kia Motors, and we expect to build on our momentum through 2011,” comments Benny Oeyen, Vice President Marketing and Product Planning, Kia Motors Europe. 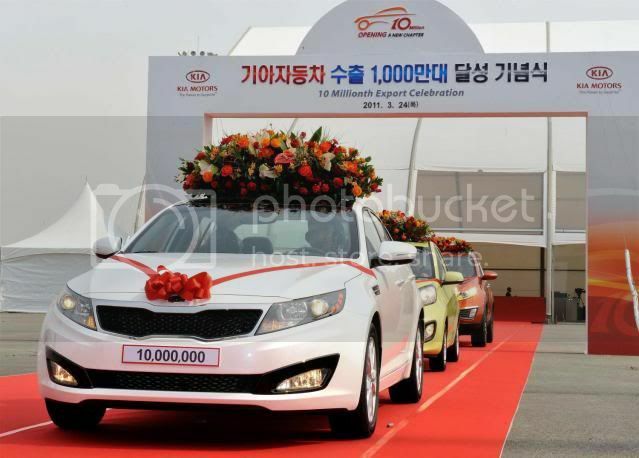 “These production success stories are a clear indication that Kia is designing cars that are relevant to the current market and that are highly desirable to consumers. The fact that half of our 10 million global exports have been achieved in the past five years is further proof that our design-led product revolution has achieved its aim of establishing Kia as a major player in the global automotive market” Oeyen concludes.